Looking for a unique way to celebrate a birthday? 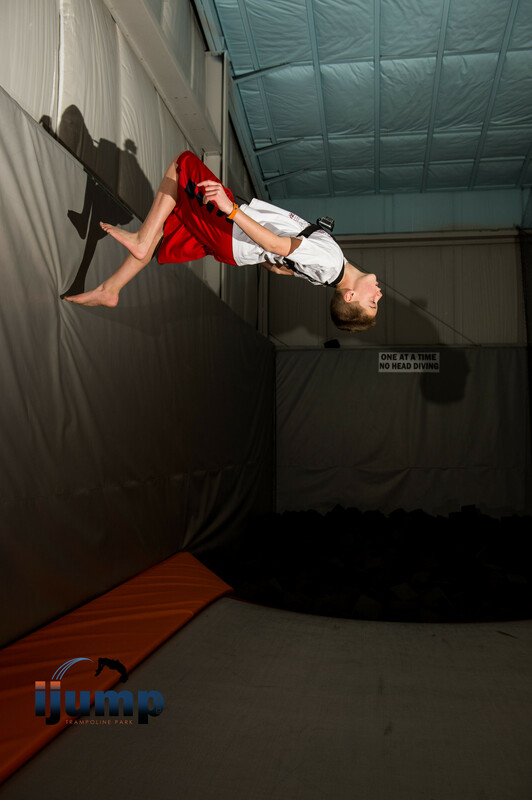 iJump is the ultimate birthday destination. You can literally come and bounce off our walls instead of yours. Our birthday parties are extremely popular and sell out on weekends and holidays weeks in advance. Download our FREE customizable birthday invitation, include a waiver and fold in thirds for a unique, professional and easy invite. (All pricing does not include taxes). 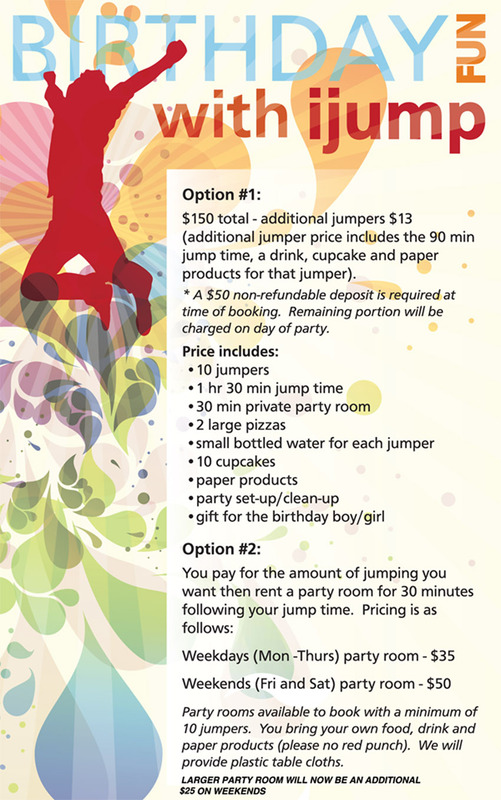 A non-refundable deposit of $50 is required at the time of booking a birthday party. The remaining balance will be paid on the party date. If a party needs to be rescheduled, the deposit can be reapplied to the new date if it's done with a 7 days advance notice. Your party room will be available for the 30 minutes following jump time. We have 3 private party rooms that range in size. Party Room 1: Our largest party room located upstairs and overlooking the jump area fits 30-50 people. This room is an additional $25 on Fridays and Saturdays. Party Room 2: Located upstairs near the Wee-jump area fits 15 people. Party Room 3: Located downstairs off of the main lobby area fits up to 20 people.